The Fundamentals of volleyball including “The Core Four” with Juliann Johnson and on court Demonstrations. Participate in on-field drills with the BSN SPORTS Volleyball ambassador Juliann Johnson, along with a session fully dedicated to Q&A. Everything is on us — that includes lunch and drinks, your notepad and coaches tips, and your coaches welcome bag. Juliann has distinguished herself as one of the best in the world. She was named NCAA Freshman of the Year in 2007. 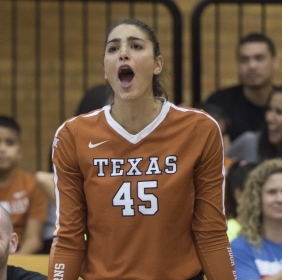 As a four-year starter and three-time All-American for the University of Texas, Juliann was the 2010 UT Female Athlete of the Year and the 2010 Big 12 Player of the Year. International volleyball organizations around the world have sought out her powerful skills and talent. She signed her first professional contract with the Italian league, Lega Pallavolo A Femminile, playing for them 2011-2013, ultimately winning an Italian Supercup and a bronze medal in the Champion's League. During the 2013-2014 season, Juliann played for Guangdong Evergrande Women's Volleyball Club, playing for one of the best coaches in the world, Jenny Lang Ping. During the 2014-2015 season, she played for the most prestigious team in France, Racing Club de Cannes, where she won her first professional championship.